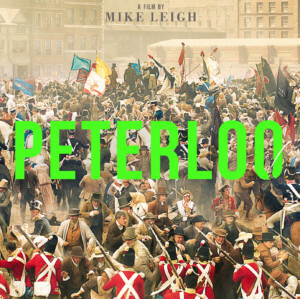 Peterloo (cert 12A). The story of the 1819 Peterloo Massacre where British forces attacked a peaceful pro-democracy rally in Manchester. Films are shown on the first Friday of the month at 2.30pm and 7.30pm unless otherwise advertised. The matinee screenings are sub-titled. Tickets £4 on the door (£3 for under 16s) and there is free entry for carers, all are welcome, we provide refreshments at each screening and produce film notes for people who provide us with an email address. Films are shown on the first Friday of the month at 2.30pm and 7.30pm unless otherwise advertised. The matinee screenings are sub-titled. Tickets £4 on the door (£3 for under 16s) and there is free entry for carers, all are welcome, we provide refreshments at each screening and produce film notes for people who provide us with an email address.